I pulled the bike apart today for a new rear tire. 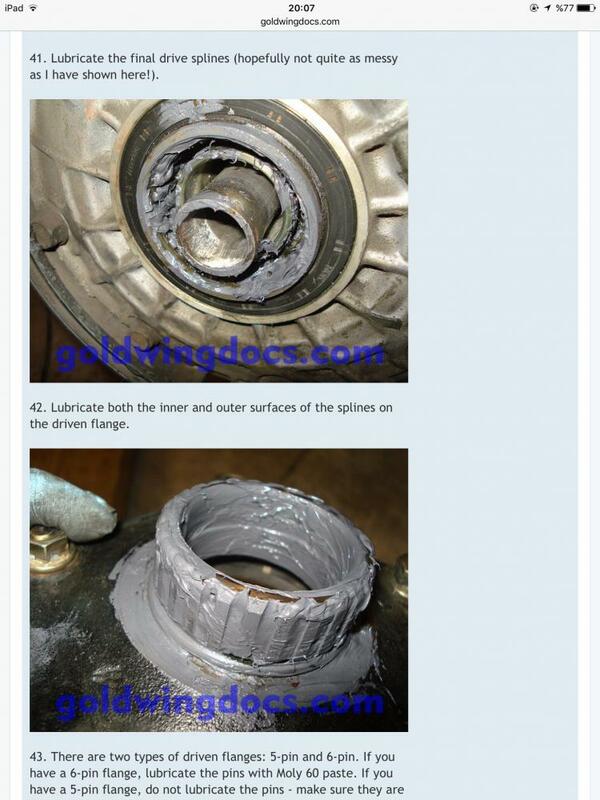 I have a couple pic's of the grease from my last tire change. I think I'm putting to much grease on the gears of the rear hub, I thought I would ask before I put it back together. I going to pull the rear end tomorrow and grease the splines on the drive shaft and I watched a video and the guy didn't put much grease. Just brushed some on. Thanks for you advice and help. you can get Moly Lube in Home Depot and Lowes, as well as almost any auto supply store. a gob is way too much, and useless for what we need. 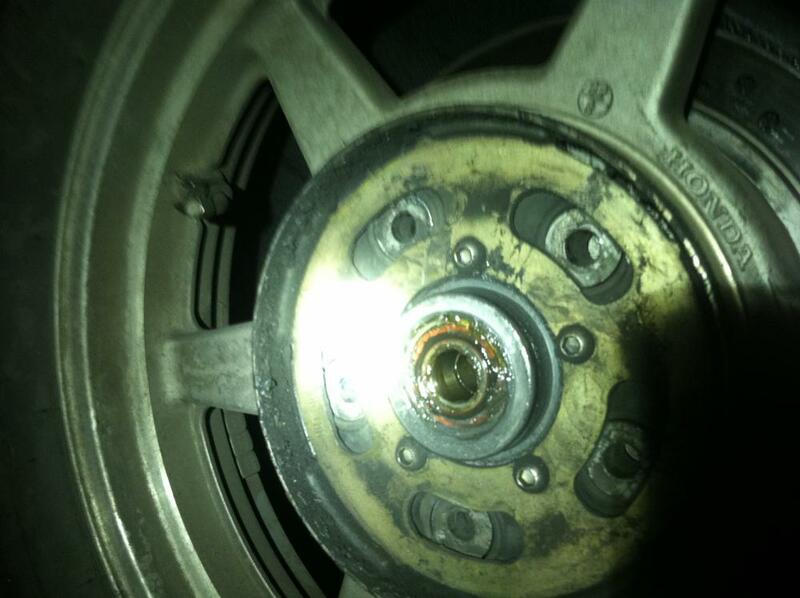 this is NOT like packing the wheel bearings on a trailer. redwing52, DBohrer and limpy45 like this. I agree with John. The Moly paste is expensive but necessary. The good thing is the acid brushes only cost a few pennies each. Keep looking until you find all 3 o-rings are in good shape and there. 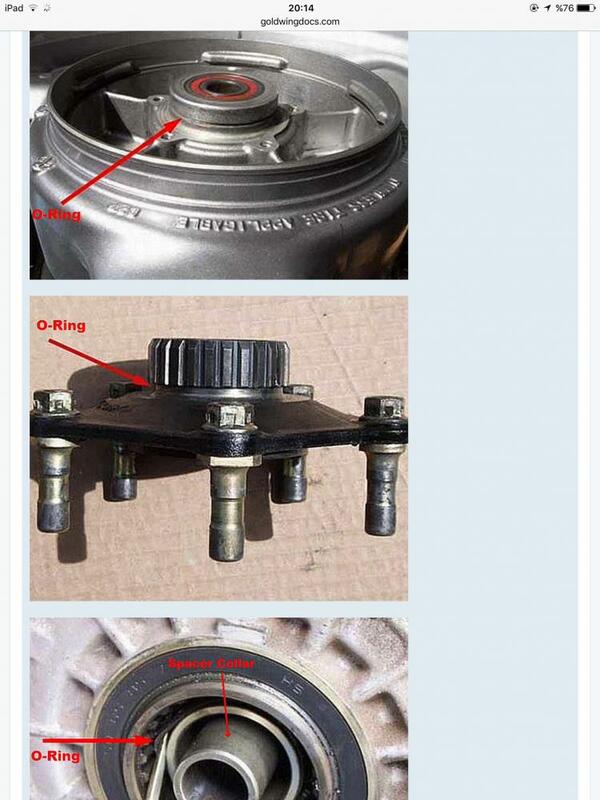 Its a learning expierence,too much is better than too little,you need to replace the o rings while you are in there,very important,it keeps the greats where it’s supposed to be.owners have tried a multitude of products BUT all have high moly contents,I use John Deere products in mine. Pure Texas, what O rings are you referring to ? I used a moly Grease before but I bought the Honda one for the splines on the drive shaft. You should use the moly paste (Moly 60 or new one is M77) not only on the shaft splines but also on the final drive splines as shown below. The o rings are also in the next picture. Thanks Erdeniz, I have a tube of the m-77, I just went out and looked and the o rings are there, I think I put to much grease when I did it last time. 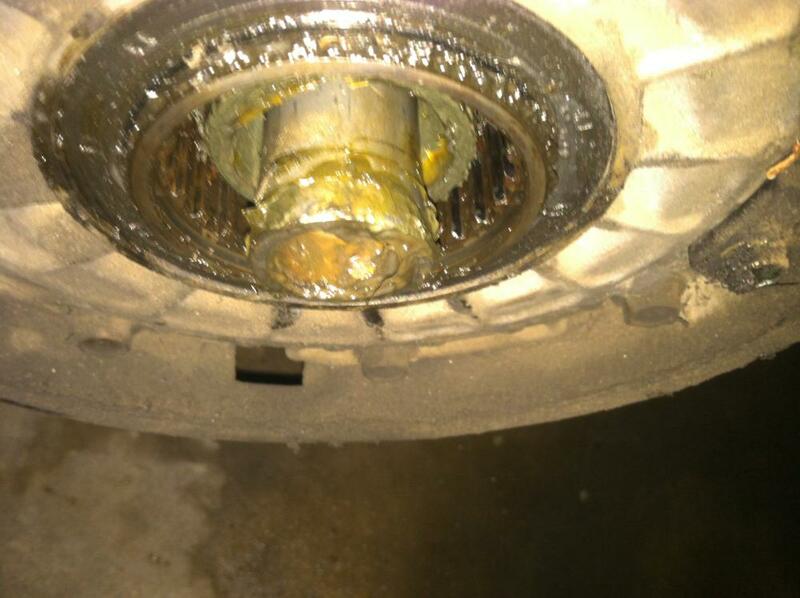 I used a moly wheel bearing grease from Auto zone. I loaded it up with a pop sickle stick not the acid brush. The o rings look and feel ok so I might just put it back together. it's either that or wait a week for new ones. I'm going to the Honda Dealer for my tire today so if by chance they have the new O rings I'll get them. I also have to clean everything up before I put it back together. Jerry there are 3 o rings but the flatten out and let grease out of wher it should be,one is difficult to find and most time it’s missinc,I think the grease on your wheel,that would behind your spider hub,is from bad o ring in that area,I bought off eBay,but others might know the sizes you can get local but I wouldn’t put it back together without new ones. Pure Texas, I think I can get them from Partszilla or western Honda. I'm going to order them right now.